A new web site of Logen Solutions is introduced. Please visit www.logensol.com for the better experience. 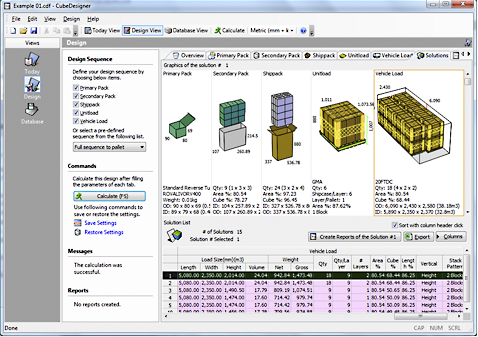 CubeMaster is a Load Plan and Optimization Software for Truck, Sea Container, Pallet, Carton and Air Container. With over 3,000 installations globally, CubeMaster has proved to be the world’s best cargo planning, optimization and diagramming software. To learn more about features and functionality of CubeMaster, see an overview and download a free trial software. CubeDesigner is a Palletizing and Packaging Design Software for Shipcase Design, Product Arrangement, Palletization, Pallet Pattern Configuration and Truck Loading. With CubeDesigner, packaging engineers can oversee all steps of the packaging design from idea to final presentation. To learn more about features and functionality of CubeDesigner, see an overview and download a free trial software. CubeMaster.NET is an online application (online version of CubeMaster) that allows you to build an optimal truck and container load plan with teams who work together in distributed areas. To learn more about features and functionality of CubeMaster.NET, take an overview and try free with creating a new account. CubeDesigner.NET is implemented on the Internet (online version of CubeDesigner) and allows package design to be done anytime, anywhere, on any platform with using any Internet browser. To learn more about features and functionality of CubeDesigner.NET, see an overview and try free. We are Tom & Ellen from LG Electronics Antwerp (Belgium). 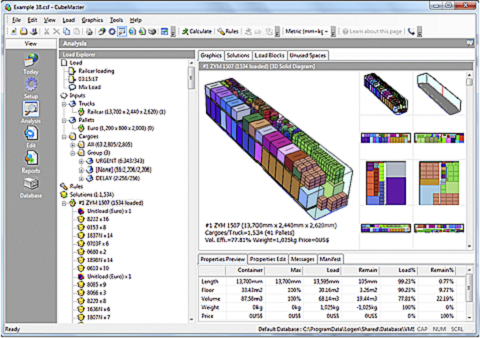 We are truly happy with the container load optimization and planning software provided by Logen Solutions. We use it daily to simulate the container cargo plan and maximize the spaces utilizations. When we get the order from our customers we input the data in CubeMaster.NET system and have it calculate the optimal 3D load plan. When the plan is not 100% we ask our customers to increase the number of orders to maximize the load efficiency and minimize the freight cost. We are a Microsoft Registered Partner specializing in small business solutions. Our software are compatible with Windows 8. Copyright ©2017 Logen Solutions, Co., Ltd. All rights reserved. Site served in USA.